It's pretty! :D I find the lighting effect(?) in her hair a bit odd, but yes, your extraction is good, and I really love the background with the swirls and all. 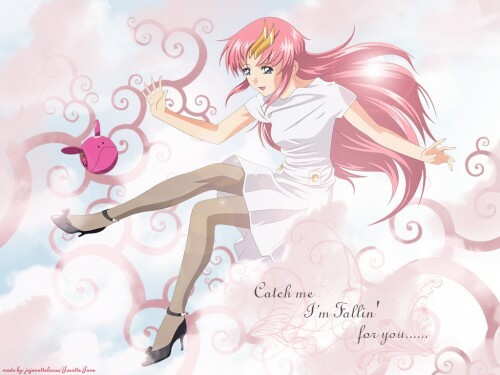 I love pink and I love Lacus! This wallpaper is simply heavenly and gorgeous! and you made such an adorable wallpaper of it! this is a very nice wall, great job on this!